Whether you paid someone to stain your porch or deck or saved money by doing it yourself like I did, you’ll probably have some paint drips and splatters that didn’t get wiped off when they were wet. 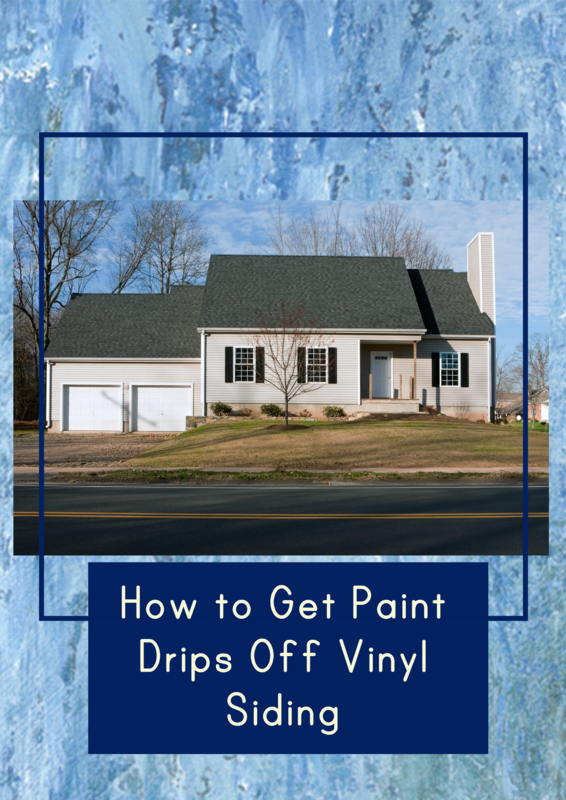 Once paint drips dry on your vinyl siding, they will no longer wipe off easily. Even an electric power washer won’t help. 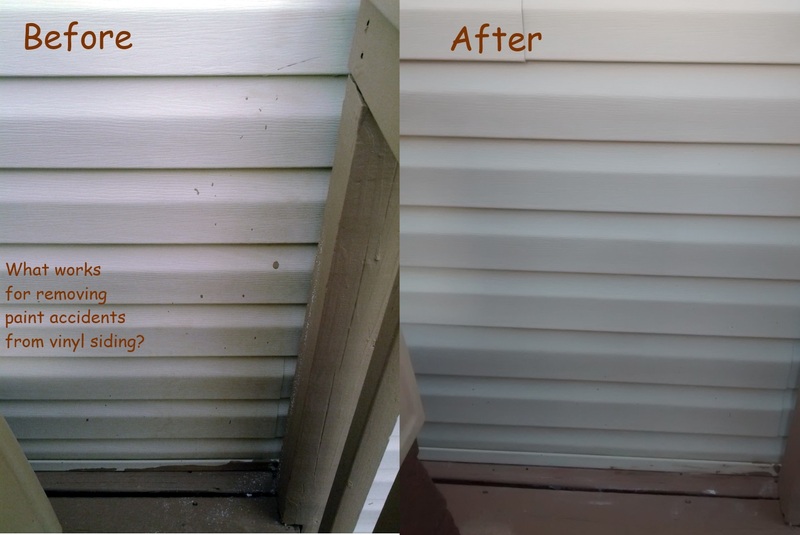 Following some online research, I decided on a few common products to try for cleaning the drips from when I repainted my deck and porch. 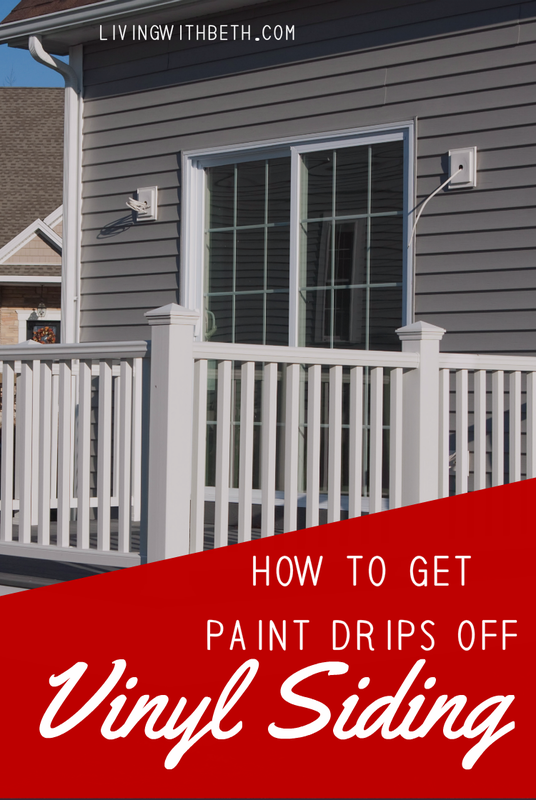 Ideally, you’ll want to clean up drips immediately, but sometimes that isn’t possible or you don’t see the drips right after they happen. 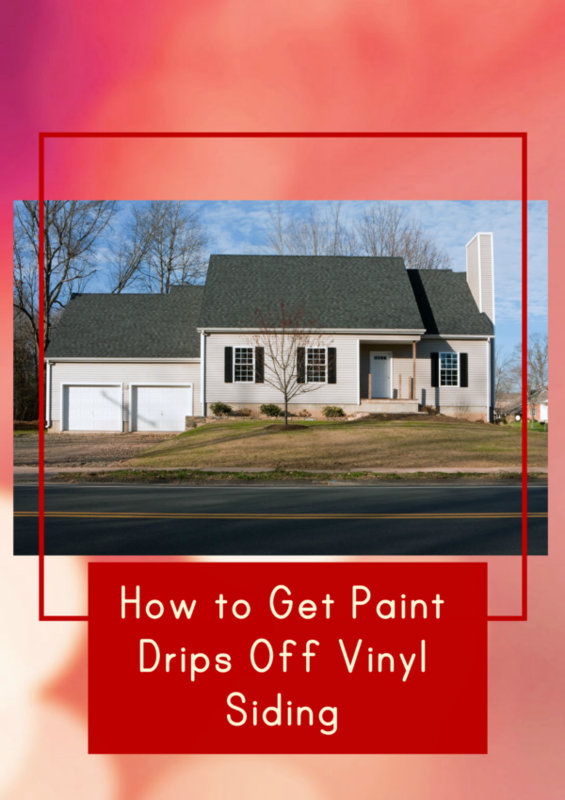 Unfortunately, no product I discovered will get paint drips off vinyl siding without a lot of effort, but some options definitely work better than others. OxiClean spray makes both a great laundry pre-treatment product and a general household cleaning spray. For my paint drips, I sprayed on Oxiclean and waited for about 15 minutes, then returned and rubbed it with a scrubber sponge. I had to use significant elbow grease, not to some mention finger nail scraping for some of the larger stains. I did manage to remove enough of the paint to make the stains mostly unnoticeable. You shouldn’t have any trouble finding Oxiclean spray at your local grocery store or Walmart for about $3 to $4 a bottle.